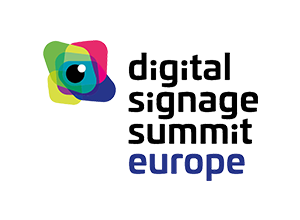 Visit this year’s Digital Signage Summit Europe and get hands-on experience with IntuiFace. We'll have product experts and demos galore onsite. Need a reason to visit this year’s Digital Signage Summit Europe? 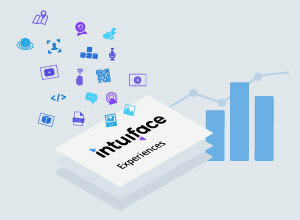 How about getting hands-on experience with IntuiFace, the only software on the market enabling any organization to create and deliver – in record time - gratifying, purposeful, data-driven digital experiences that connect people to place, powered by the latest interactive technologies. 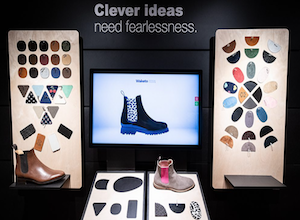 We'll have product experts onsite to answer all of your questions and to knock your socks off with a look at everything IntuiFace can co.
To step into the world of IntuiFace, meet us in Booth B-4. Digital Signage Summit Europe (DSS Europe) is Europe’s leading strategy conference for the Digital Signage and Digital-out-of-Home industries. Alongside presentations and workshops, the main focus of the conference is networking. DSS Europe 2017 experienced record numbers of delegates, the highest in its 11-year history. Almost 700 attendees came to the conference and expo, an increase of 53% over the 2016 edition. IntuiFace is software designed to enable anyone, of any skill set, to adopt the latest interactive technologies – multi-touch, yes, but also beacons, RFID/NFC, the Internet of Things, …. 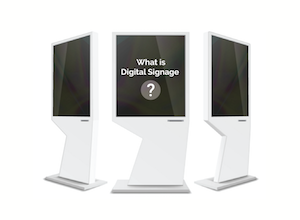 – and incorporate them in fully customizable digital signage. What makes IntuiFace unique? No pre-built templates or pre-built apps. IntuiFace unleashes creativity by offering total control over design/layout/workflow using any combination of images, videos, documents, 3D models, websites, and much more. Support for any CMS. IntuiFace doesn’t force use of its own CMS. It doesn't even have a CMS! You can use anything you want – Excel, WordPress, any third-party CMS, or even something homegrown. Integrations with IFTTT, Zapier and any cloud or network-accessible third party applications. Yes, ANY third party applications. If it has an API/SDK, IntuiFace-based signage can share information and events with any accessible service. Offline support for Windows PCs, iPads, and Android/Chrome/Samsung Tizen/lg webOS devices. Choose from any of six operating systems. No technical understanding is required and in all cases, content can be run offline, no network connectivity required. Data collection for audience insights. Use an enterprise-class data collection capability to capture information about the events you care about. 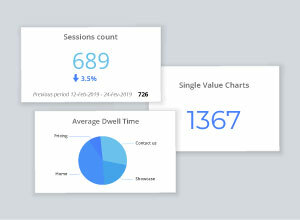 Learn everything from videos watched, scenes visited, and average dwell time to very context-specific insights like weather and seasonal variations. Since its introduction in 2011, IntuiFace can now boast 1600 customers in 90+ countries. That's thousands of end points running content built by any type of organization, from dedicated design agencies and systems integrators to creative personnel aligned with marketing and sales teams, retailers, museums, hotels, and much more. Email info@intuilab.com to learn more or to formally schedule a visit to our booth. Of course, you're also free to just drop on by.